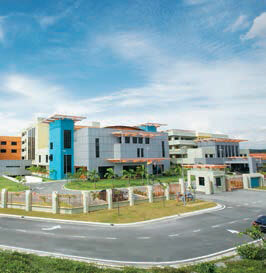 Established in 1993 as the Asia Pacific Institute of Information Technology, APIIT developed an enviable reputation for more than a decade as Malaysia's premier higher education institution for technology education and training. The institution achieved university college status in 2004, resulting in the formation of the Asia Pacific University College of Technology & Innovation (UCTI). UCTI swiftly developed into one of Malaysia's leading international universities for technology, business and engineering, which then evolved into what is now known as the Asia Pacific University of Technology & Innovation (APU) after its recent attainment of full university status. As such, the launching of Asia Pacific International School (APIS) in September 2012 and Asia Pacific Smart School (APSS) in 2006 strengthens and extends the APIIT Education Group's focus on developing young minds, and further reaffirms the Group's involvement in the schools sector, which started with the establishment of the APIIT Smart School in 2006. At APIS and APSS, we firmly believe that success begins with comprehensive and holistic education. As educators, we have adopted teaching-learning practices that nurture our students in a creative and enriching way. The main difference between APSS and APIS is the curriculum. At APSS, our students are taught based on the national curriculum. By focusing on academic excellence, we carefully nurture and prepare students to sit for the UPSR, PMR and SPM examinations and ensure they get the best possible results. In contrast, APIS students are taught based on an international curriculum developed by the University of Cambridge International Examinations, which is used by both primary (Cambridge International Primary Programme) and secondary (Cambridge International General Certificate of Secondary Education, IGCSE) schools around the world. Focusing on academic excellence, we nurture and prepare students for the respective checkpoint assessments and major international examinations. Besides helping our students excel in academia, we place great importance on activities outside of the classrooms. The nurturing of talents and interest in other activities helps shape our students into well rounded individuals who stand out from the rest. We believe that great teachers make a great school. With that as a cornerstone, APS's policy has always been to employ teachers who meet the standards we have set. Overall, our teachers play a very important part in our students' lives. It is their experience, dedication and passion that make the difference in helping Asia Pacific Schools students unlock their true potential. If you cash in your chips, you sell something to get what profit you can because you think its value is going to fall. It can also mean 'to die'.